Some varieties of plants enhance your landscape while providing edible produce for the table. One type of useful plant, the Margarita plant, also called the golden sweet potato vine, brightens up your yard with its yellow-green foliage. Grow this ornamental vine in elevated containers near porches and patios to create a burst of color among other plants. With proper care, your Margarita plant will produce edible tubers later in the season. Plant your small Margarita plants or your rooted cuttings into a rich, well-drained potting soil. This plant tolerates a variety of soils but thrives in those with a neutral pH balance. Make a happy medium for your Margarita plants by mixing equal amounts of potting soil and compost. Place some of your medium in a container with drainage holes and place the small plants into the soil, allowing the leafy portions of the stems to sit slightly above the surface of the soil. Don’t worry about planting these too deeply. Like many root crops, Margarita plants produce healthy root systems along submerged stems. Water your Margarita plants every few days to keep the soil slightly moist near the developing tubers. Allow just the surface of the soil to dry out before adding a little water to your pot. Make sure the drainage holes remain free of debris to allow excess moisture to escape the pot. 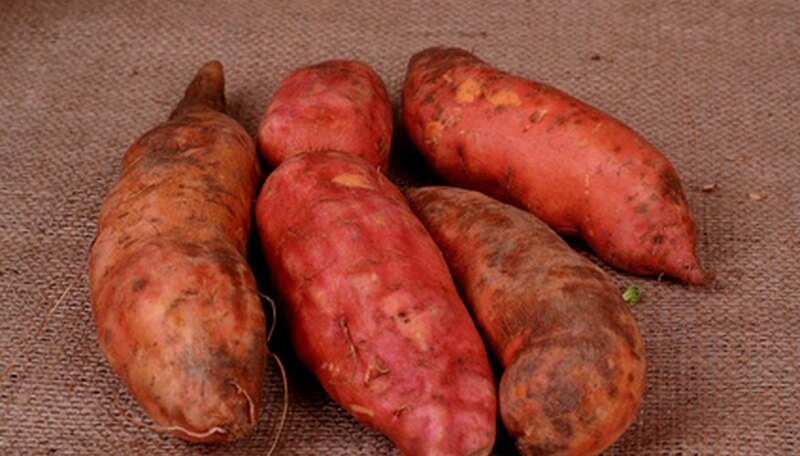 Fertilize your Margarita plants with a fertilizer labeled for use on sweet potato plants. Apply your fertilizer about once a week, following the manufacturer’s instructions regarding the method of mixing and applying the formula. Check the soil around the base of your Margarita plants for snails and slugs. Remove these from the area if you notice them inhabiting the soil. For large infestations, apply a pesticide labeled for use on vegetable plants. Root new cuttings for the next spring by snipping healthy sections of your plants late in the fall, before a killing frost. Place these in a damp medium, such as sawdust, until the following spring.